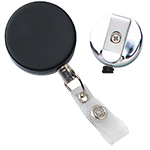 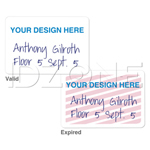 This durable nickel plated steel, ribbed-face pin-clip combo with pressure-sensitive pad is an excellent finishing accessory for ID or access cards. 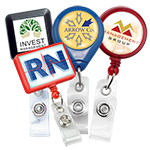 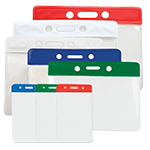 The ribbed-face pin-clip combo has a pressure-sensitive square base that sticks to the back of a card. 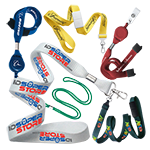 The combo is then looped onto a chain using a shank hole. 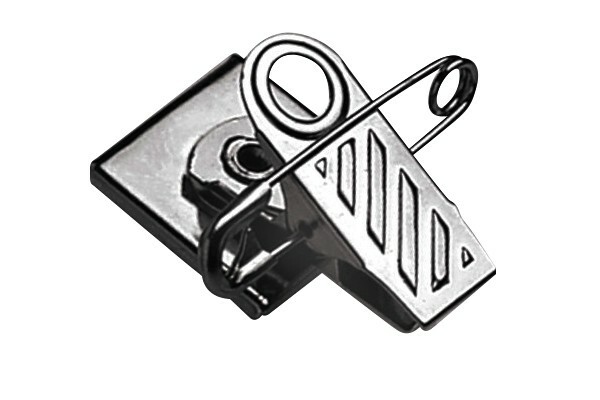 The 1" nickel plated pin-clip combo can also be pinned to your clothing with its safety pin. 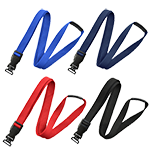 The pressure-sensitive pin-clip combo is finished with a ribbed thumb grip, making it easy to open.